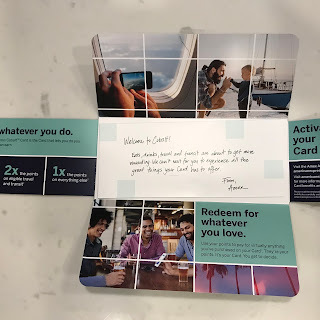 It’s been a little over 2 months since the launch of the game-changing American Express Cobalt Card and personally we've had it in our hands for a little over a month. Its one thing to talk about a card based on what is written on paper and another to talk about it when you actually have it. What follows is my take on the card so far and all I can tell you is that it does live up to the billing of being a game-changing card. Earning points has been extremely easy on the card thanks to the 5x Points earned on Eats & Drinks! I would say that the majority of my purchases have been in the Eats & Drinks category so the points have been racking up super quick. In fact, in the first month of having the card I earned over 30,000 Membership Rewards points. 15,000 in sign up bonuses and over 15,000 from around $3,000 in purchases like dining out and grocery shopping. That means at this point I have achieved around a 10% return on the spending if I was to redeem for travel via the Use Points for Purchases option. As you can see my Sobeys purchase came with the 10,000 point bonus which is awarded if you hit $3,000 in spending within the first three months of having the card. That bonus is available to all approved applicants as long as you apply by January 30, 2018. I haven't redeemed any of the points yet from the card but will be doing so very shortly. 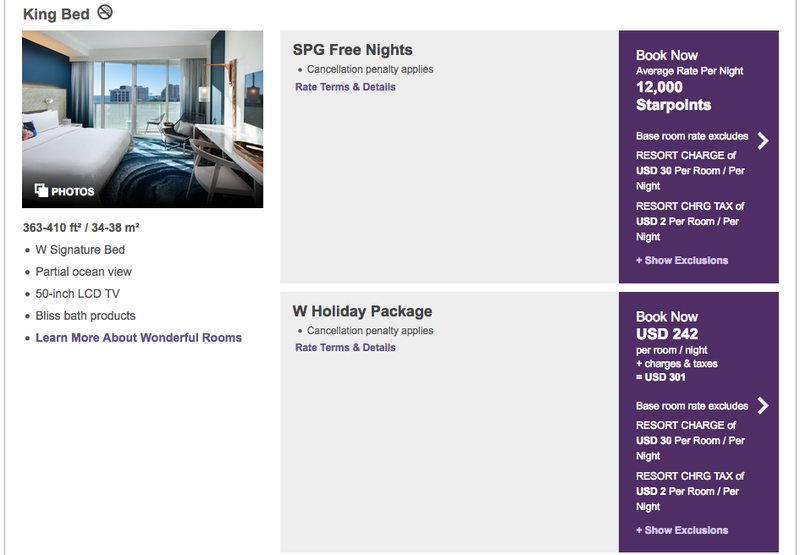 I did mention above that the points in my account to date are worth over $300 in travel for the Use Points for Purchases, but my intentions are to redeem the points via the Frequent Traveller Participants option for Starwood Preferred Guest. The transfer rate is 1,000 Membership Rewards points to 500 Starpoints. Here is an example of some of the value from transferring. 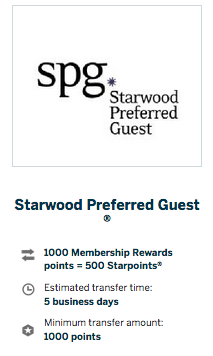 I could convert 24,000 Membership Rewards points to get me 12,000 Starpoints. A room at the W Ft. Lauderdale costs 12,000 Starpoints or US$301 with taxes in or close to C$360. That's not bad at all, getting $360 in value for the 24,000 points! As you can see this option pulls a lot of value out of the Cobalt Card as well. 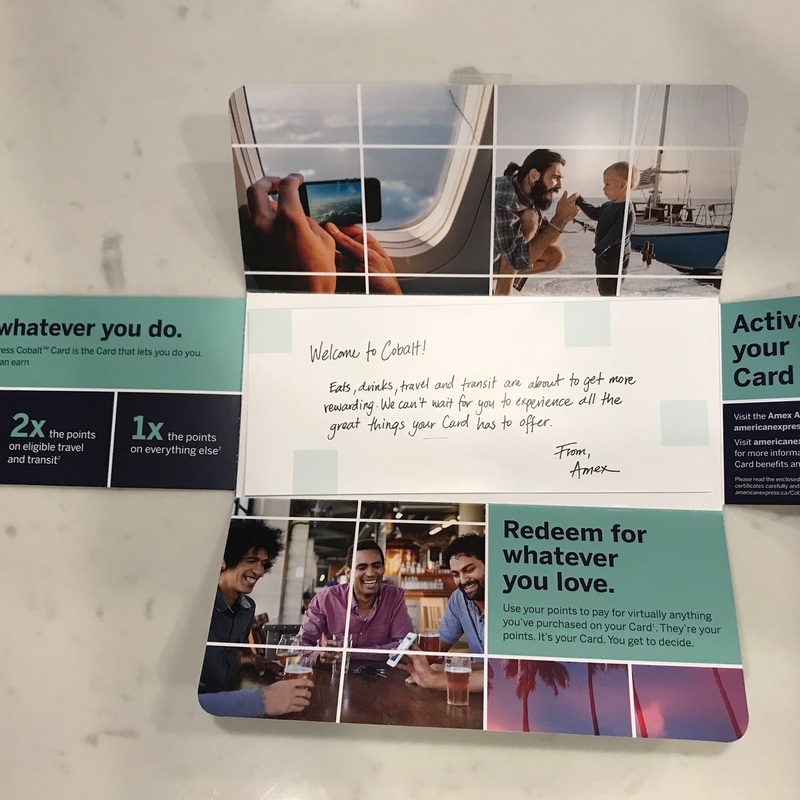 The card is marketed not only as a card for Millennials but also as a lifestyle card and that's where the non-reward perks of the card kick in with exclusive offers and of course the well-known American Express Invites programs. I always like the J.Crew offers and others that we have seen for having other American Express cards in our wallets but if the H&M offer is any indication I'll be looking forward to more Cobalt exclusive offers in the near future! You too can check the Cobalt website for additional offers. The card is definitely living up to the billing of being a game-changing card. It has only been out for two months and in my hands for only one and literally made me $300+ in that month. But it’s not just the points that it is living up to. It's living up to the Lifestyle nature of the card. 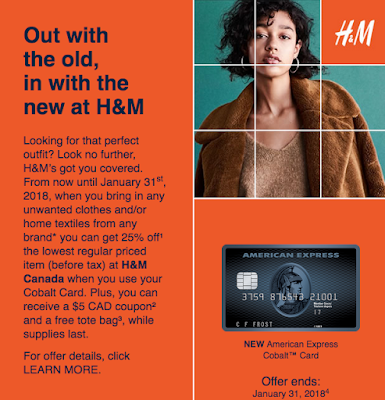 To come out with an exclusive offer like the H&M offer this early in the life of the card shows that American Express really does mean to do business with Millennials and anyone looking to enhance their lifestyles.